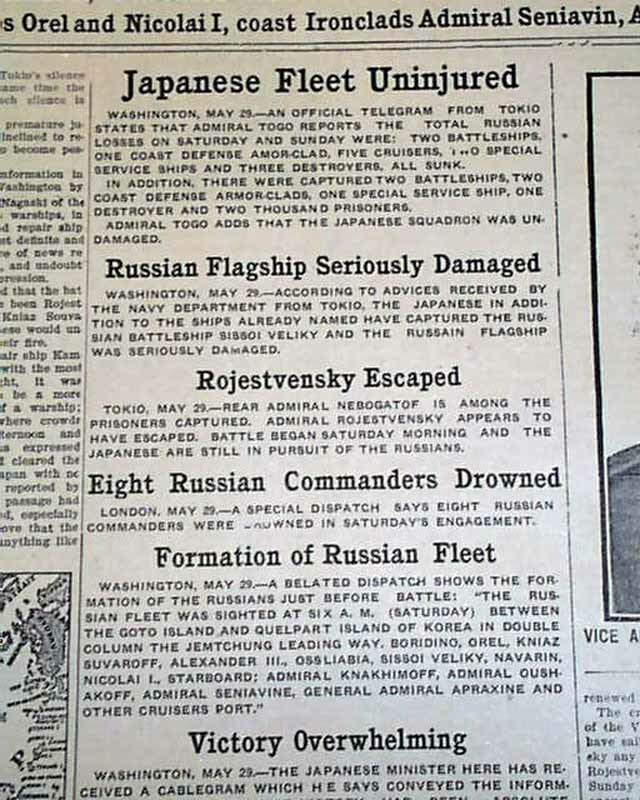 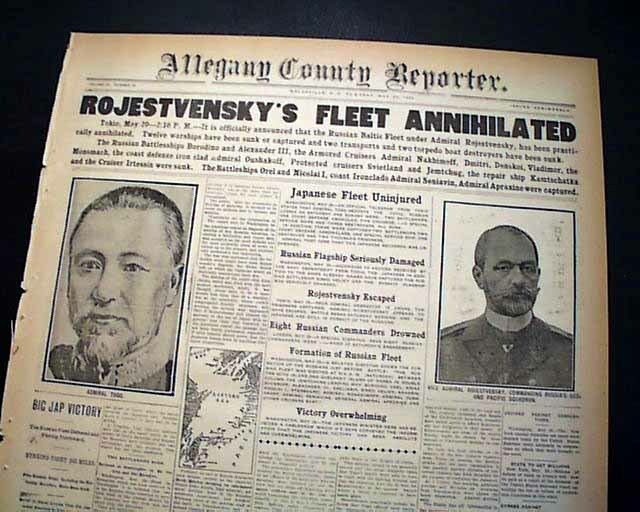 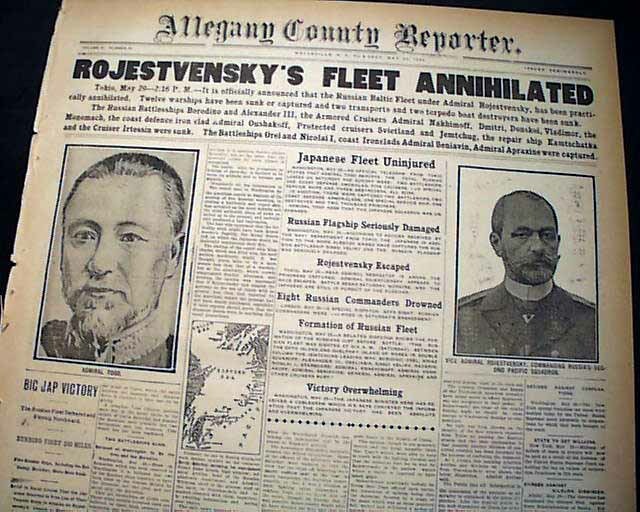 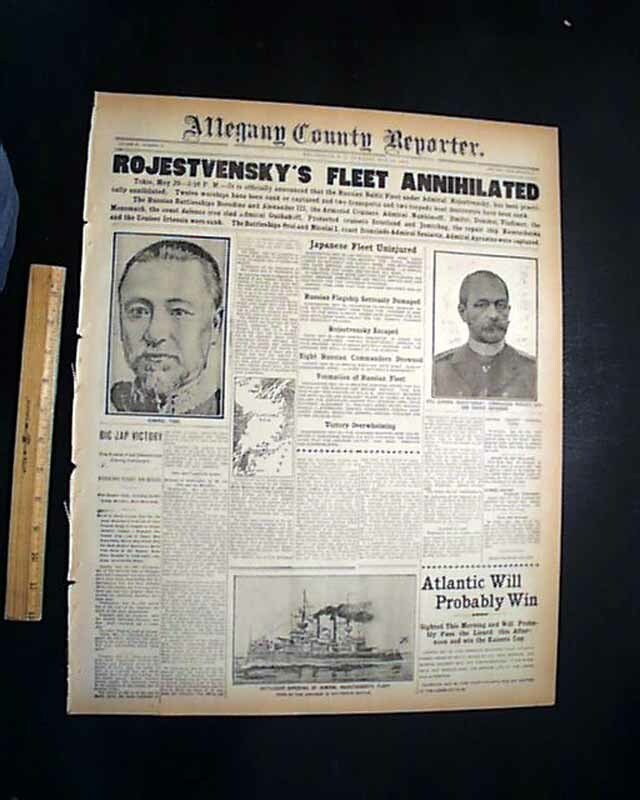 This 8 page newspaper has a great banner headline on the front page: "ROJESTVENSKY'S FLEET ANNIHILATED" with related photos/illustrations and small map. 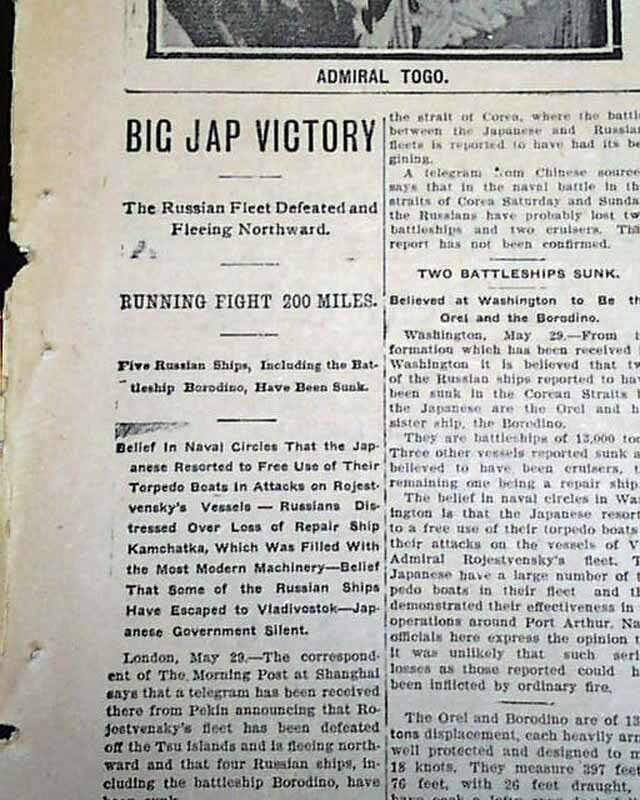 1st report coverage on the Battle of Tsushima during the Russo-Japanese War. 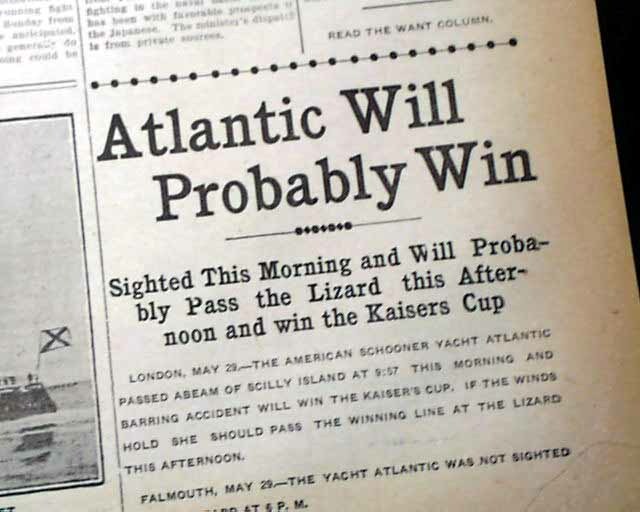 Other news and advertisements of the day. 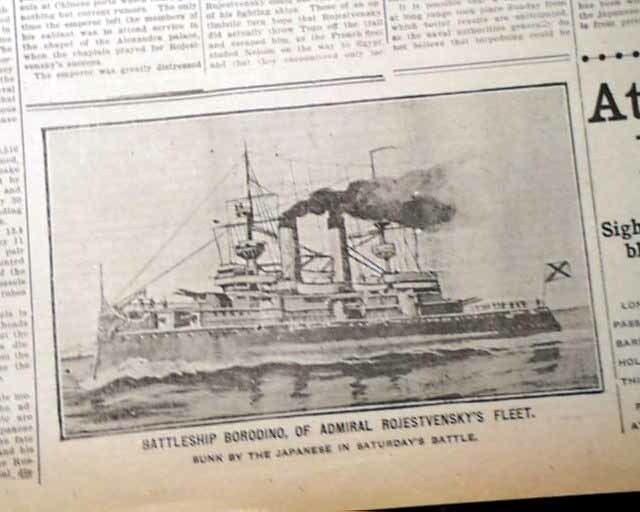 Light browning, very minor margin wear, otherwise good condition.